From White Sails Brewing’s Website. The vision was to create a gathering space where people can relax, meet with friends, celebrate an event or milestone and enjoy fresh craft beers. It will also be a place where everyone feels welcome and where local musicians and artists can participate in jam sessions or open mike nights. White Sails was inspired by the large white masts that anchor our community from the North and South and is also a tribute to Nanaimo’s heritage, environment and community. It reflects the City flag, which includes a ship with billowing white sails that commemorate the settlers of Nanaimo that sailed from England. The ambiance combined with great craft beers is what White Sails is all about! The excitement of sailing on the open ocean, the exhilaration when you get going and the peacefulness and relaxed feeling of being so close to nature all symbolize the ambiance in White Sails’ tap house. The history of the location is really cool too. It’s on the site of the old Newcastle Hotel which was built in the late 1800’s by the owner of one of the Pacific Northwest’s largest breweries at the time – Union Brewing. 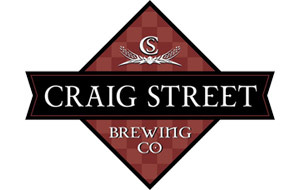 Welcome to the Craig Street Brew Pub! We recycle all paper, tin, glass and plastics. We use biodegradable garbage bags. We have reduced our waste by 75,000 kg so far. Our fryer oil is recycled into Biodiesel. We offer a complimentary shuttle on weekends. We offer a variety of celiac-friendly food! Our mash from each brew feeds the local pigs! We sponsor tons of community organizations. We use energy efficient products. We buy from local businesses. We buy with environmental consciousness. So please, come in and take a look around, in person or use our 360 virtual tour. EAT, DRINK, CHAT and ENJOY! The best things in life are meant to be shared. Like our passion for craft beer. 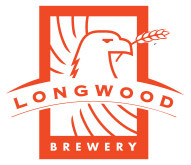 As soon as you walk into our tasting room, you will see where the name “Longwood” comes from. Featured are a locally-crafted cedar surfboard from V.Isle Surfcraft and the seriously impressive Zebrawood bar. While giant posters of our amazing designs plaster the walls, the centrepiece is our custom, stainless steel, 6-tap growler bar. We put the GRRRRR in growler! It doesn’t matter if you are a first-timer or one of our regulars, feel free to pull up a stool and sample the Longwood Line Up. Easily accessible, we are located just off the Nanaimo Parkway. Our friendly and amazing staff will impress you with their vast knowledge about Longwood’s recipes and will definitely help you find your perfect beer. We always have a unique beer that is only available on the growler bar. Whether you crave a proper pint can, a bomber, or a growler filled with tank-fresh beer, Longwood Brewery has what you are looking for. This is a place for fun, beer, and a little bit of business. Well-crafted spirits are the essential building blocks of cocktails. At Victoria Distillers, these ‘liquid bar tools’ are made with one, pretty basic goal. We want people everywhere to be able to make great drinks. We know bartenders are the cocktail experts. They understand that a great drink requires spirits that are singular and distinctive in taste. So we collaborate with incredibly talented mixologists to create both classic and innovative cocktail spirits, using the world’s best-tasting water (found right here on the Canadian west coast), and the best ingredients from around the world. As one of Canada’s oldest, small-batch spirits companies, we’re influenced by history and driven by innovation. For us, there’s no other way. There is a fundamental basis of biology and chemistry that guides the fermentation process and enables the creation of consistently great beers. Category 12’s head brewer and founder, Michael Kuzyk, has been brewing beer for nearly 20 years and has his doctorate in microbiology and biochemistry from UVic. But all work and no play makes… well, you know the rest. After leading the creation of several world-class research labs, he decided it was time to make his own – dedicated to the pursuit of exceptional beer. Bold beers for strong minds. With Michael’s continual tinkering, you can expect a continually expanding line of seasonal releases, including those that pay homage to our favourite big Belgians and hoppy Northwestern ales. We make beers that we like to drink, and we’ve learned how to play nicely, we share! Michael’s obsession with great beer, recipe optimization, and meticulous record keeping practices–honed during his research days–make him a brewer to be reckoned with. Don’t Worry. I’m a Doctor. Michael started brewing his own beer in the mid-1990s, during graduate studies. Hundreds of Untappd check-ins later, his passion for brewing finally prevailed and his wife Karen conceded to the inevitable. In preparation for launching Category 12, they both travelled up and down the West Coast, visiting and talking to the very best brewmasters and building a beer-making syllabus that is sure to cement their uniquely precise place in this exciting industry. Michael experiments with a 50 L pilot brew bench that allows him to fine tune recipes that scale to our 1,500 L production capacity-and we have more than a few on the books. Our brewhouse is proudly made on the Island, just around the corner from the brewery. Specific Mechanical has made over 350 brewing systems over the last 25 years, and ours is the first one they will be able to walk over and enjoy in person. But good beer doesn’t do any good if no one knows about it! Enter Jeff Kendrew, our Sales & Marketing Manager who is a Certified Cicerone® and co-founder of Victoria Beer Week. Jeff will be introducing you to Category 12 beers at your local pubs, liquor stores and festivals. Watch for him – but be careful as his passion is contagious! Category 12 is the complete Northwest craft brewery experience. We look forward to welcoming fellow craft beer aficionados into our “growler testing facility”, where beer always comes first. To repeatedly produce top quality craft beers that stand out from the crowd – and keep customers returning for more–requires both creativity and intense attention to detail. We’ve got both. Welcome to our lab.